Starting a new Yoga series of posts. This time the topic of energy is shimmering for me. As always the ideas I bring here are my take on teachings I have received from my teachers. I have made them mine and you are welcome to make them yours. So I’ll start by shattering a myth on energy. It is misapprehension to view energy in terms of quantity. You can not have less energy or more energy. Paul often uses an effective metaphor – you are born with an engine – and that engine has a fixed capacity. How well you maintain it and how effectively you use it is to some extent up to you. But nothing you can do will effect the capacity of your engine – your energy capacity. An alternative model of thinking about energy is quality. To generalize we can mention and relate to three modes/qualities of energy. The first is one in which our energy is diffused. This is often referred to as low energy. It is a state of agitation – when your energy is like this you literally take up more space, you bubble is bigger than your physical body. If you think about it, when you are agitated you can get really annoyed with people coming near you – this can explain it. A second mode of energy is a more collected mode. You energy is near you and therefor more “at your service”. This can feel like you have more energy. I think it’s safe to say that most people that go to weekly Yoga classes are coming with a diffused energy. If you happen to go through a quality and effective practice you may end up more collected. This often brings with it a sense of quiet, clarity, lightness, alertness, etc. The third mode of energy is a highly condensed mode. 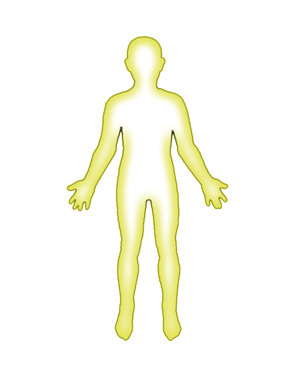 Your energy is now not just collected but also drawn inside the body. This can feel like hyper-energy. Most of the people I have known in life rarely visit this mode. I feel that it is mostly a myth for the main-stream western world. It requires a very intense, conscious, continuous and passionate practice to go anywhere near this mode of energy. Come diffused and on occasion may end up collected. Think they are collected and expect to reach condensation. Take up a Yoga practice that matches their expectations. Are pushing and mistreating their engines. Are actually coming diffused and staying there. Next time when you are feeling “high energy” or “low energy”, I invite you to try this alternate perspective. You may find it useful. I don’t know of any “energy stations” where you can “acquire energy”, but I am sure you can think of things to do that can help you to collect your energy and to keep it from diffusing.